These medals were made for the 774 tournament held at Colleton River. It features the sculptured classical style logo of the club as well as an area for engraving. 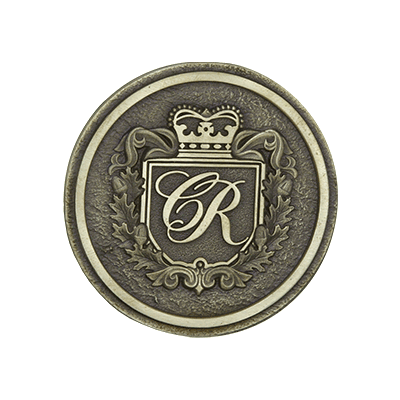 The medals are 2” in diameter and cast in satin brass with antiquing to show of details of their ornate logo. It was also presented in a window box to make displaying them easier.